«Today we celebrate with music the values promoted by the Erasmus+ programme, that is, openness to the others and mutual knowledge strengthened by studying and living abroad. However, first and foremost we want to celebrate culture and the culture of legality that are the pillars of an active and aware European citizenship». 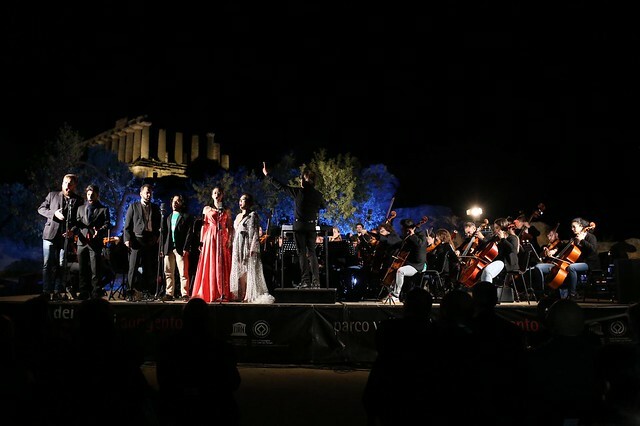 With these words Flaminio Galli, Director of the Indire’s Erasmus+ Agency, opened on 28 September at the Valley of Temples in Agrigento the inaugural evening devoted to the values of culture and legality in Europe and to the memory of mafia victims. The event was attended by Maria Falcone, sister of the Magistrate Giovanni Falcone and president of the Falcone Foundation, Leonardo Guarnotta, former Magistrate of the anti-mafia pool in Palermo and Secretary of the Falcone Foundation, Marco Bussetti, Minister of Education, University and Research, Lillo Firetto, Mayor of Agrigento and Bernardo Campo, President of the Valley of temples Archaeological Park. «My brother, Giovanni Falcone, used to tell me that mafia shouldn’t be combatted only by clamping down on it but in order to defeat it we must make a cultural leap forward to allow the creation of a society free from mafia’s disvalues» Maria Falcone stated. Music has been chosen as the instrument to celebrate cultural and civil progress against the code of silence. 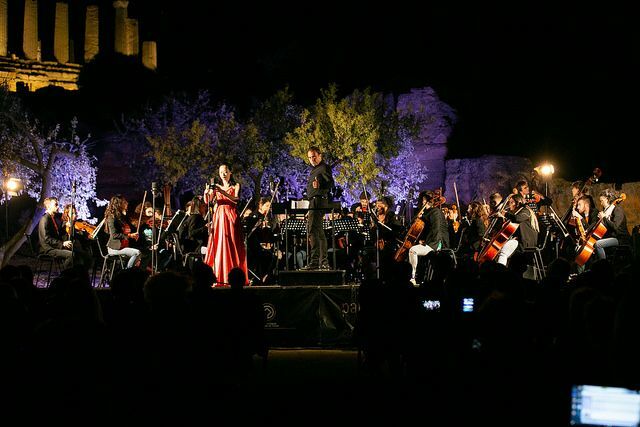 The Erasmus Orchestra, directed by Maestro Orciuolo performed with great success music by Rossini, Donizetti, Puccini, Mascagni and Bizet.